Oliver, sleeper in Big Boy Bed, is not sleeping well these days. Naps consist mostly of playing with Legos, stripping off clothes and yelling down to me to come get him. Today was the third fourth day in a row of no nap so we played at home and then, because he needed new sneaks, took a trip to Target. Since we had time, I thought it would be fun to stop at the playground to try out those shoes to see of they are fast. Wouldn’t you know, the little guy is sound asleep in the backseat. 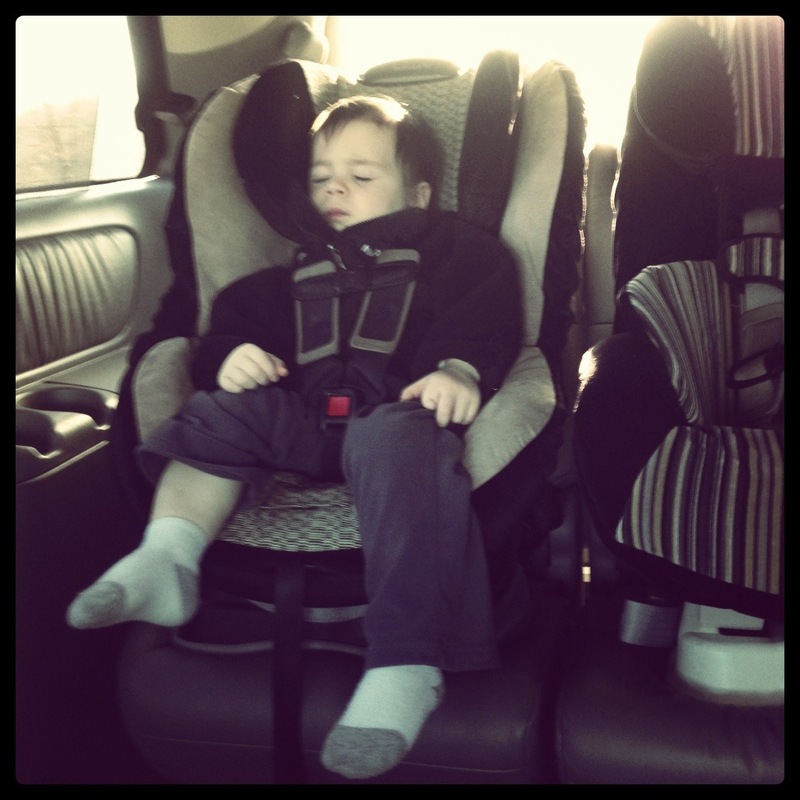 I’m thankful he is catching up on his rest…would it be weird to catch a catnap here in the car, too?? This entry was tagged Emmy, Ollie. Bookmark the permalink.